As we age, our faces begin to show the effects of gravity, sun exposure, toxins (like smoking) and years of facial muscle movement from smiling, chewing, talking and squinting. The underlying tissues that keep skin looking youthful and plump begin to break down, leaving laugh lines, smile lines, crow's feet and facial creases over the areas where this muscle movement occurs. Soft-tissue fillers, most commonly injectable hyaluronic acids or fat, can help fill in these lines and creases, temporarily restoring a smoother, more youthful-looking appearance. When injected beneath the skin, these fillers plump up creased and sunken areas of the face. They can also add fullness to lips and cheeks. Injectable fillers may be used alone, or in conjunction with Botox or a resurfacing procedure, such as a laser treatment or facelift. It is important to note that results achieved through the use of injectable fillers are not permanent. The body may eventually metabolize injected material necessitating reinjection or the use of another modality. Researchers believe that age, genetic background, skin quality and lifestyle all play a role in the injected material's "staying power". Dr. Walker has been using fillers since the early 1990’s. He is experienced using all of the current injectables, and is currently most satisfied with Juvéderm (FDA approved to say it lasts for one year) and Radiesse (formulated to be used in deeper tissue planes and along the boney plane). As other injectable fillers become available, Dr. Walker will evaluate them and add those quality products that are appropriate. 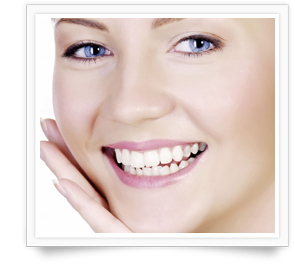 Dr. Walker will be glad to discuss the possible use of fillers for your facial lines at the time of your consultation. Also see: https://www.plasticsurgery.org/surgery/inject.htm for more info.